"International exhibition for the nutraceuticals industry"
Vitafoods Europe is the event where the global nutraceutical supply chain comes together to do business. Visitors can source high-quality ingredients, raw materials, service or nutraceutical products. 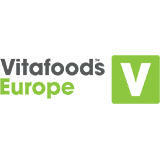 Vitafoods Europe is the only dedicated event covering the nutraceutical supply chain from ingredient to shelf. Getting invitation letter for visa procedure, should be more easier . Profile for exhibit include Nutraceutical ingredients, Functional food and functional drink ingredients, Dietary supplements, Pharmaceutical ingredients, Botanical extracts, Cosmetic ingredients, Contract manufacturing services, Laboratory and analytical equipment and services, Consultancy, business and marketing services.